Shawn Seipler is on a mission to save lives with soap. It began about seven years ago as a tiny operation with a few friends and family in a single car garage in Orlando, Florida, where they used meat grinders, potato peelers and cookers to recycle used soap into fresh bars. 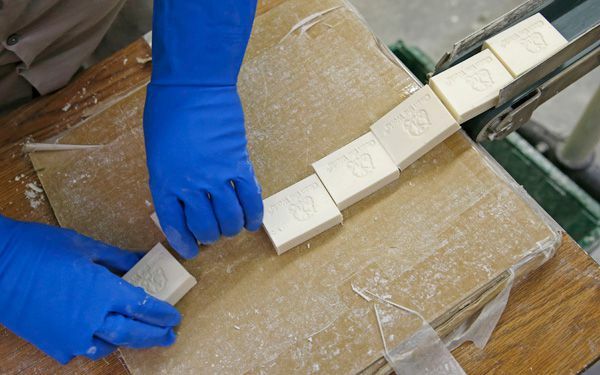 The nonprofit initiative, now called Clean the World, has since grown to include industrial recycling facilities in Las Vegas, Orlando and Hong Kong, cities where hotels are plentiful and used bars of soap can be gathered easily by the thousands. As a frequent traveler while working for a tech company, Seipler had a thought one night at a Minneapolis hotel. "I picked up the phone and called the front desk and asked them what happens to the bar of soap when I'm done using it," he recalled. "They said they just threw it away." Seipler, now the group's CEO, said that after some research he discovered that millions of used bars of soap from hotels worldwide are sent to landfills every day while many people in developing nations are dying from illnesses that could potentially be prevented if they only had access to simple hygiene products. Thus began his mission to help save lives with soap and even half-used bottles of amenities like shampoo. "It's a huge problem," said Dr. William Schaffner, a professor of preventative medicine and infectious disease specialist at Vanderbilt University Medical Center in Nashville, Tennessee. "One of the most common kinds of illnesses in the world are those that are transmitted from person to person and to oneself because of germs that are on one's hands." In the U.S. and other developed nations, Schaffner noted, people take hygiene products for granted because they are everywhere soap in public restrooms and even cleanser wipes at the entrances of grocery stores to sanitize shopping cart handles. Not so in some other countries, where Schaffner recalled visiting a hospital once in the Middle East to find that soap was in such short supply that patients had to provide their own or go without. "It's such a fundamental part of the interruption of transmission of infectious agents that could save so many lives," he said. "It's not a magic wand, but it's a very important element." Clean the World has announced it was partnering with the similar Global Soap organization to increase production, hygiene education and delivery. The combined group now collects used soap from more than 4,000 hotels and says it has delivered some 25 million bars to 99 countries, including homeless shelters in the U.S. The process is fairly simple with the collected soap being shredded then run through machines that remove any residual bacteria before being pressed into new bars of soap and packaged for delivery. The group uses local aid and non-governmental organizations to help with distribution and ongoing education, along with sending their own teams into rural communities around the world to personally hand-deliver hygiene products and to teach residents about the importance of keeping clean. "A lot of people are surprised to find out that one of the most effective ways to prevent many deaths is actually just hand-washing with soap," said Global Soap's director Sam Stephens. "We're hoping to make a difference." Critical thinking challenge: How can access to simple hygiene products, such as soap, prevent illness? Things like soap can prevent illnesses because it can cleanse your body and keep away dieases and other viruses. Its overall the easy way to living a clean life. I think that this was a great idea for an organization. There are lots of different diseases that are spread through poor personal and domestic hygiene, such as the flu, a cold, gastroenteritis, pneumonia, trachoma, skin infections, hepatitis A, giardiasis, scabies infection, pediculosis (head lice infection), and a whole lot more. It's a little bit strange to me that other countries don't have things, like soap, that we use every day, and take for granted. Sometimes we don't even finish the bar of soap before we throw it away, so it's a good thing that this organization recycles. I think that this is a great idea. He's able to save lives with hygiene. I'm really glad he thought of making this organization. He is right, people do take hygiene products for granted. I think it's amazing what they are doing by reusing soap and saving lives. I did some research and washing your body with soap before an operation is essential because of the bacteria can enter the cut and infect your blood causing blood poisoning, or organ damage. I find it terribly sad that hotels just throw away what didn't get used, when one bar of soap could have saved someone's life. What they are doing is truly excellent. i never knew you could recycle soup but its a great idea. Its also great for our environment. We need more people like Shawn to protect the environment for future generations. It is kind of sad to think of how many people take things like soap for granted. I hope that the Clean the World soap organization is able to help many people have better hygiene, it seems like they already have. I'm actually surprised that they have an organization for soap. I always thought soap was easy to have, but reading this article made me realize that in other places its not as easy. Like it says in the article people take advantage of soap because its every where we go, which is actually true. I myself just realized that I take it for advantage. I'm actually happy that there's people out there that think outside the box and help others in a different way. I never thought saving soap/reusing soap would save so many lives. 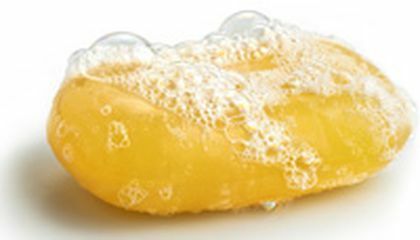 People having access to soap and other hygiene products can prevent illness because the bubbles from the soap can trap all the harmful bacteria or toxins from the body.